Series LF288A Lead Free Hot or Cold Water Anti-Siphon Vacuum Breakers prevent the reverse flow of polluted water from entering into the potable water supply due to backsiphonage. It consists of Lead Free brass body construction (LF288A) or chrome finish (LF288AC), chemical resistant silicone seat disc and an atmospheric vent to prevent spilling. 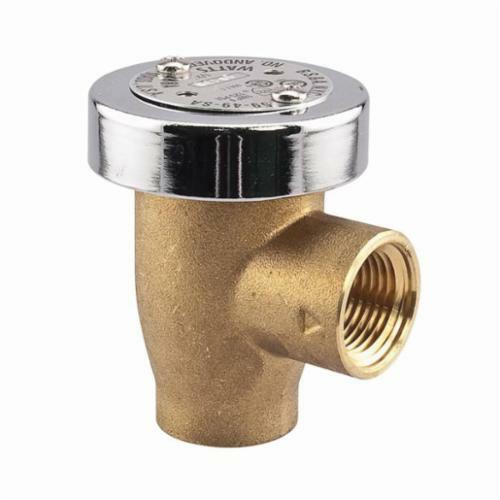 Series LF288A has a full size orifice to assure pipe size capacity and maximum flow. It is ideal for low flow, non-continuous hot or cold water health hazard installations such as on laboratory equipment. Maximum Pressure:125 psi (8.6 bar).